Forerunner of the design current undertaken by Flexform in the 1980s and known as the “Family Sofas”, the Nonnamaria sofa revisits the sofa style of the day, reinterpreting it in a contemporary vibe with updated proportions. The resulting sofa has a clearly-reassuring and homey appearance that draws upon the collective memory but is finally freed of the superfluous frills and decorative details that weighed down the line. The Nonnamaria sofa comes in two- and three-seat versions and its soft, generous silhouette is enhanced by a characteristic armrest that reinterprets the traditional “scroll armrest” in a lighter, more relaxed version. 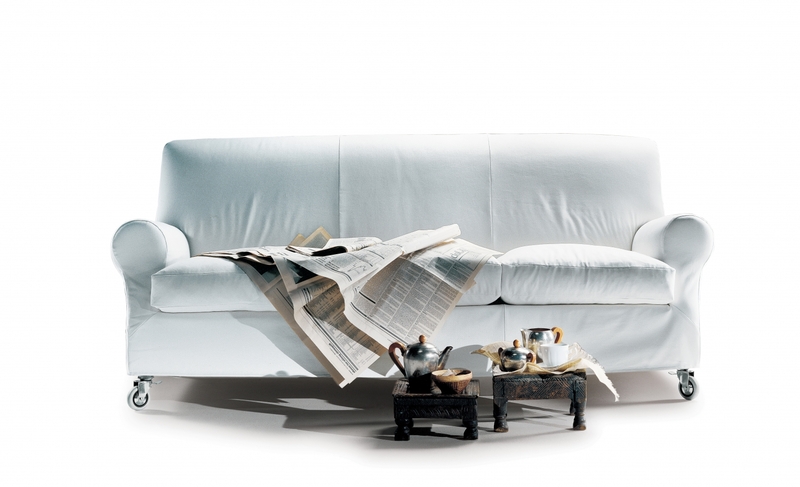 The Nonnamaria sofa comes with practical front self-locking casters, making it easy to move.